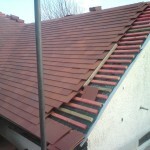 This residential property was covered with a concrete interlocking tile. 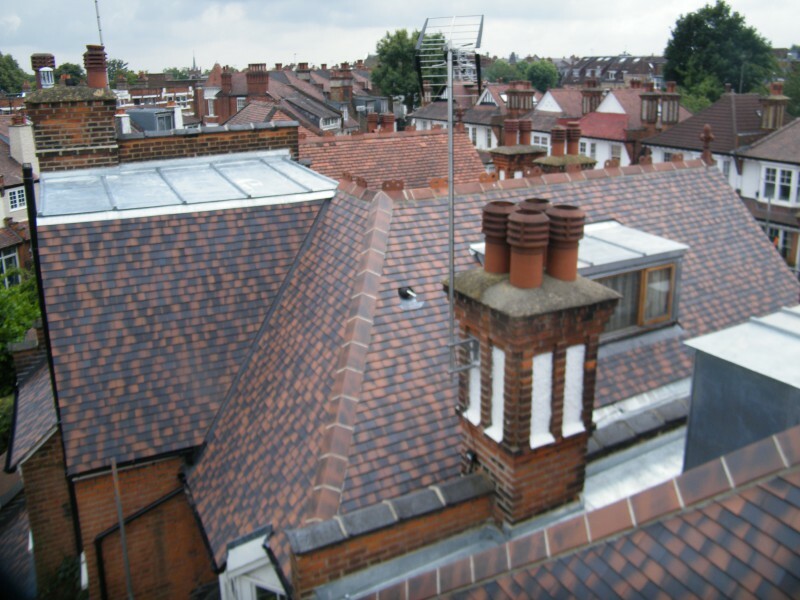 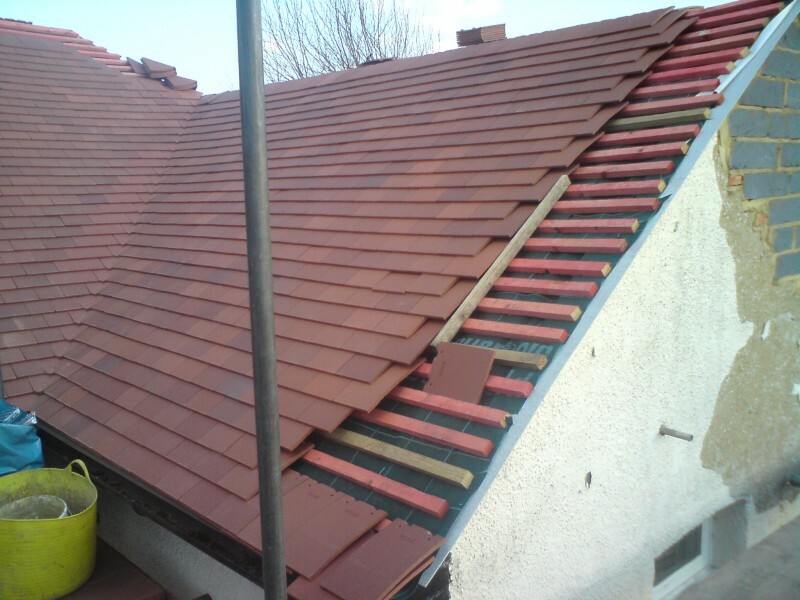 Our client had requested that the property be bought back to life with a tile that originally would have covered the roof slopes. 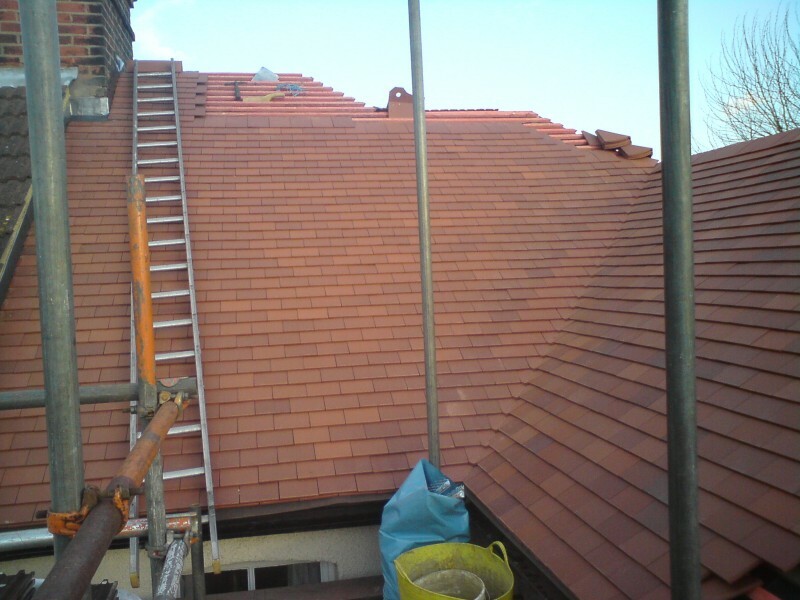 We suggested the Acme single camber plain tile. 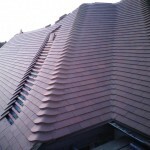 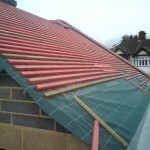 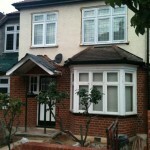 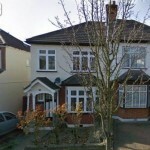 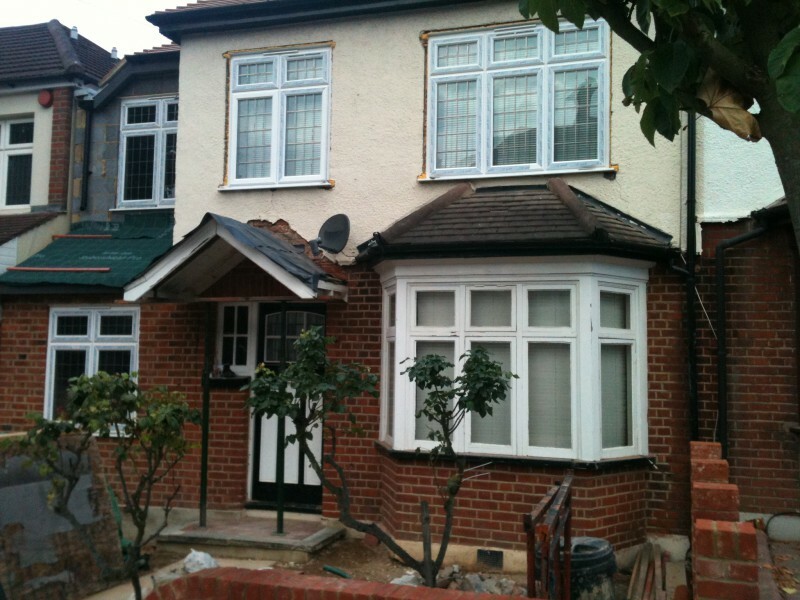 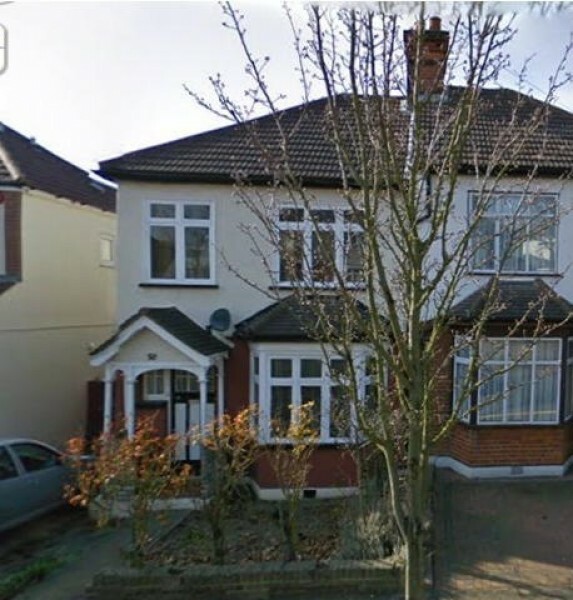 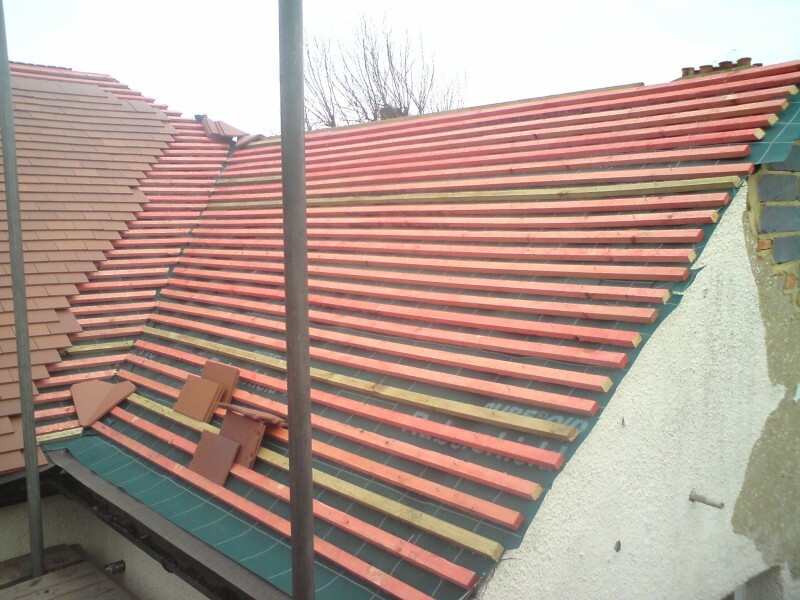 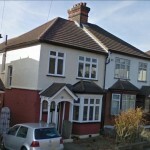 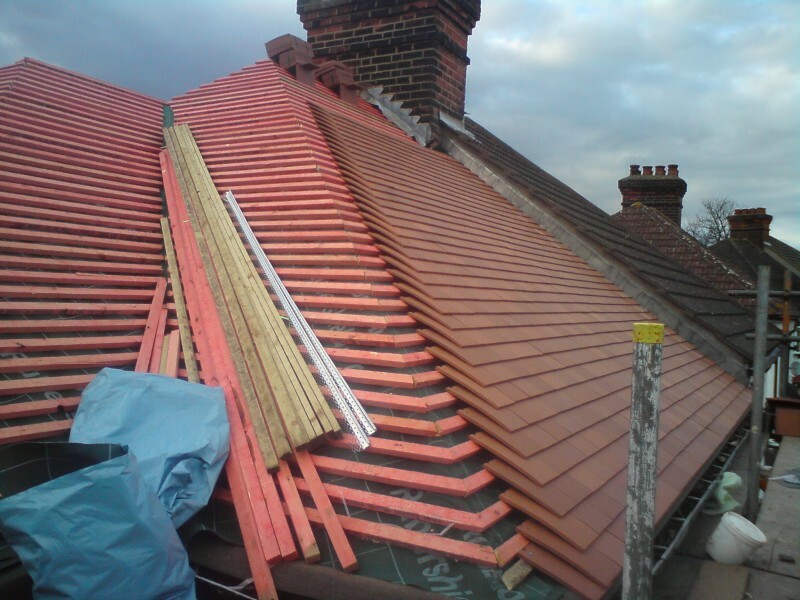 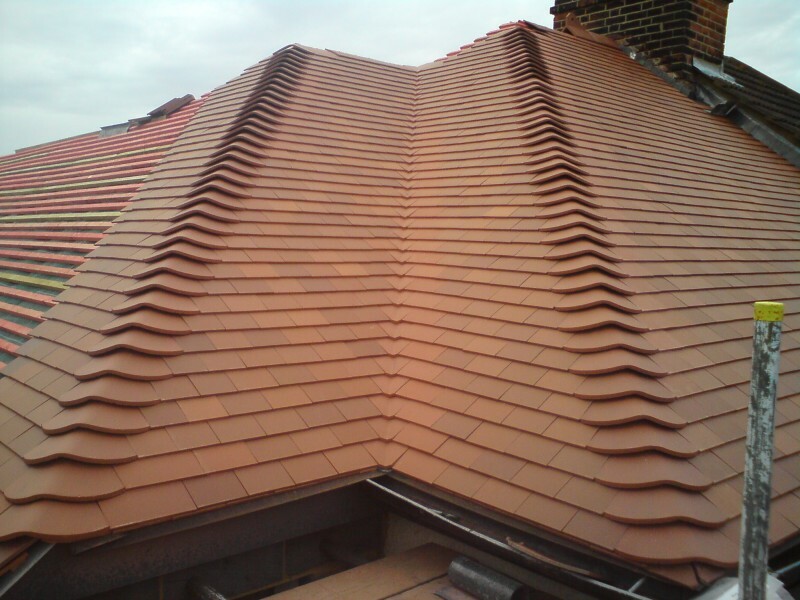 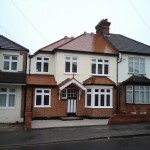 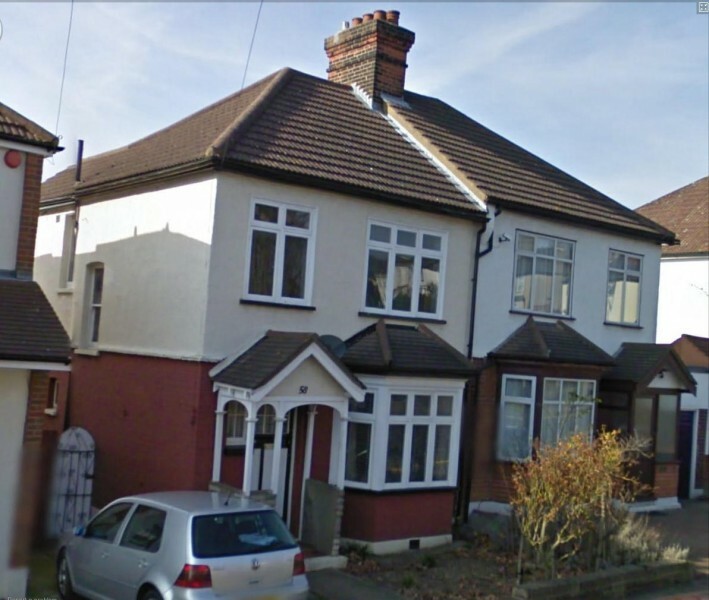 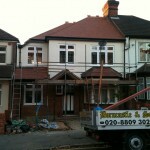 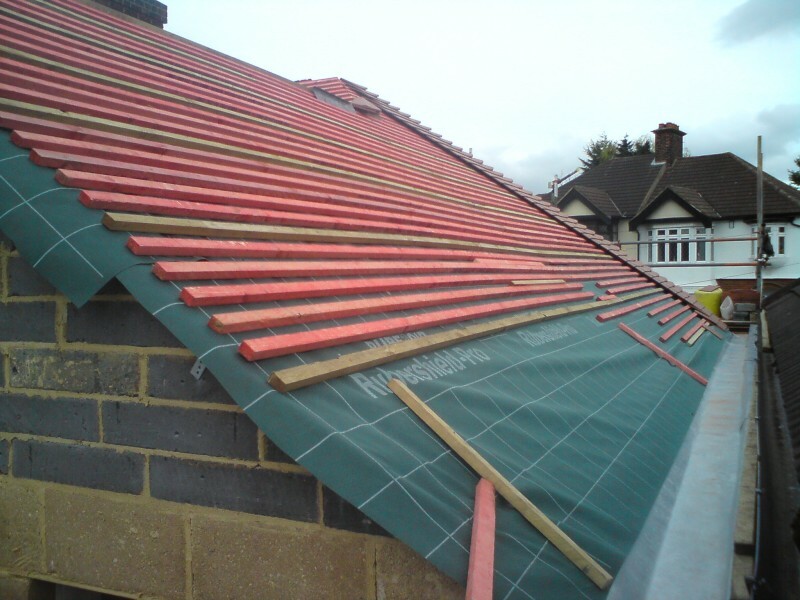 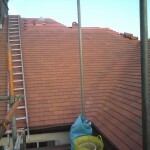 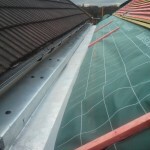 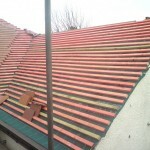 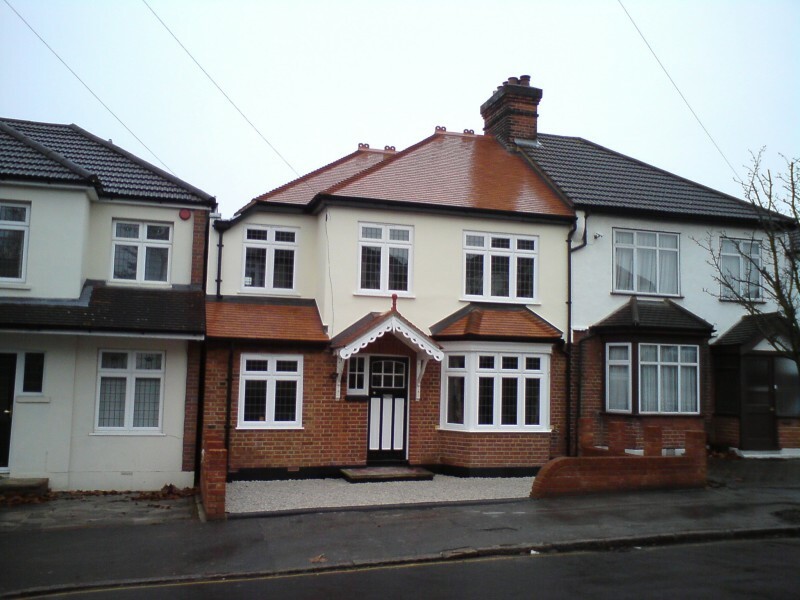 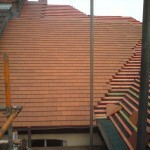 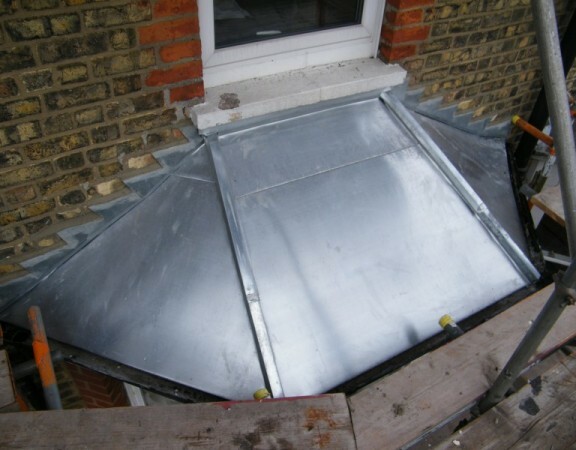 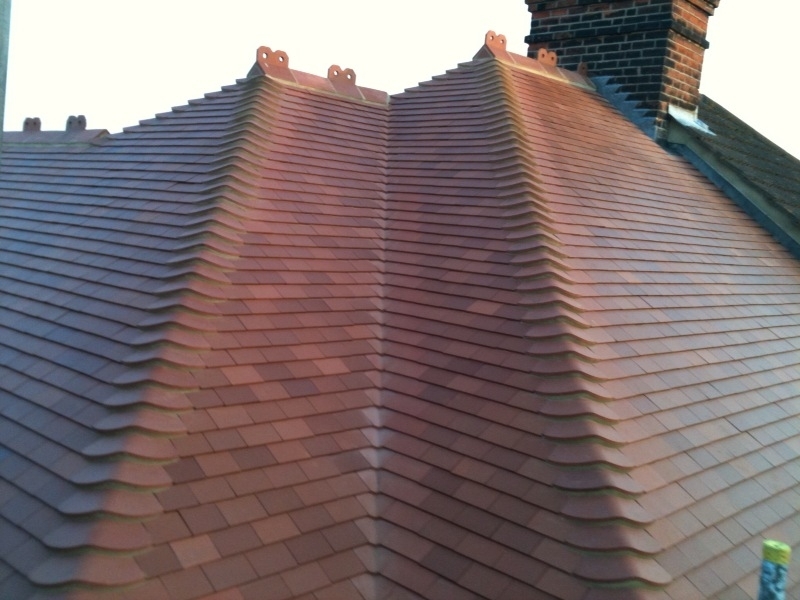 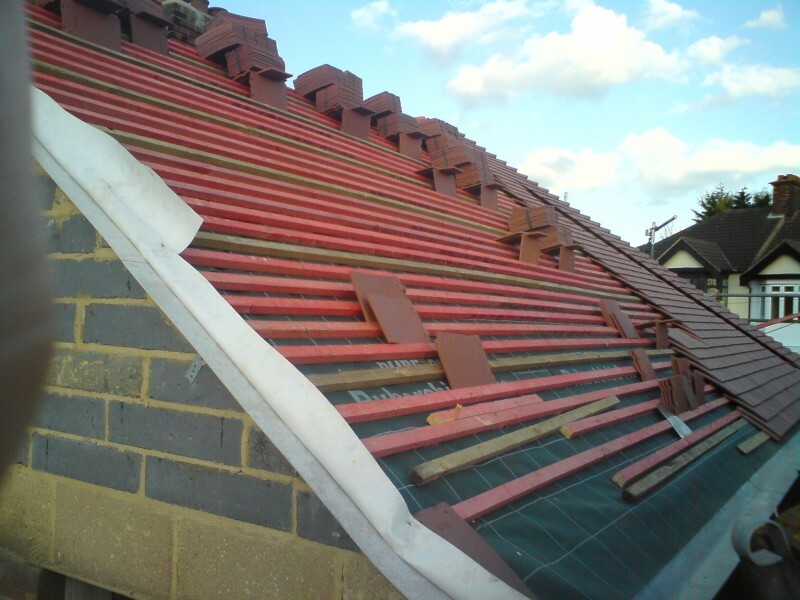 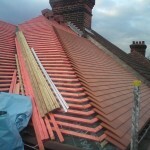 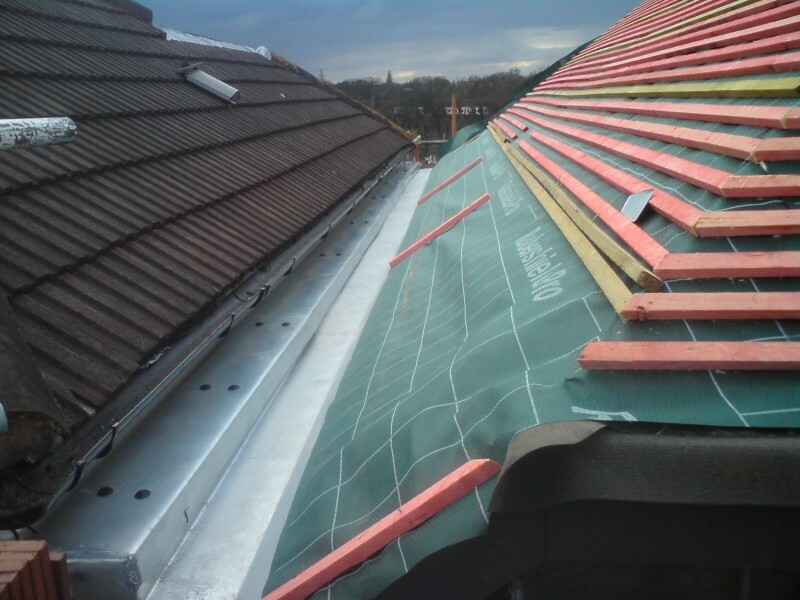 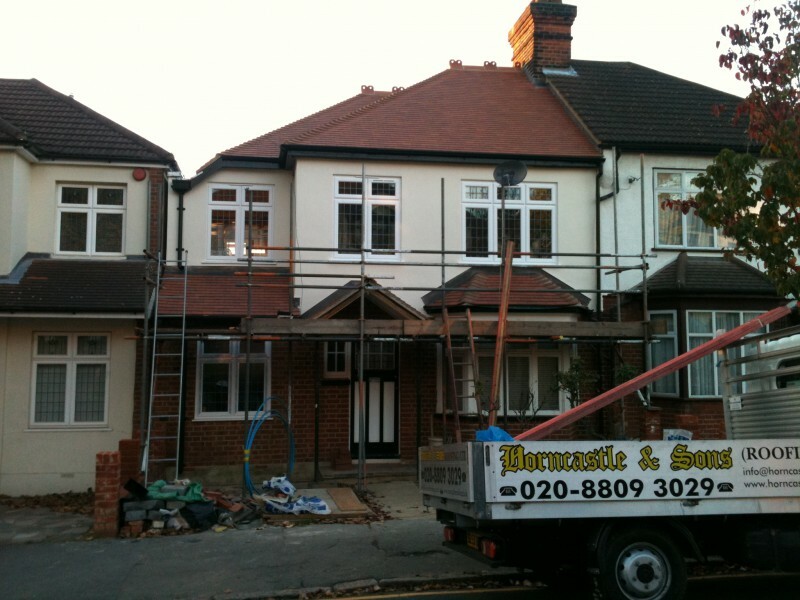 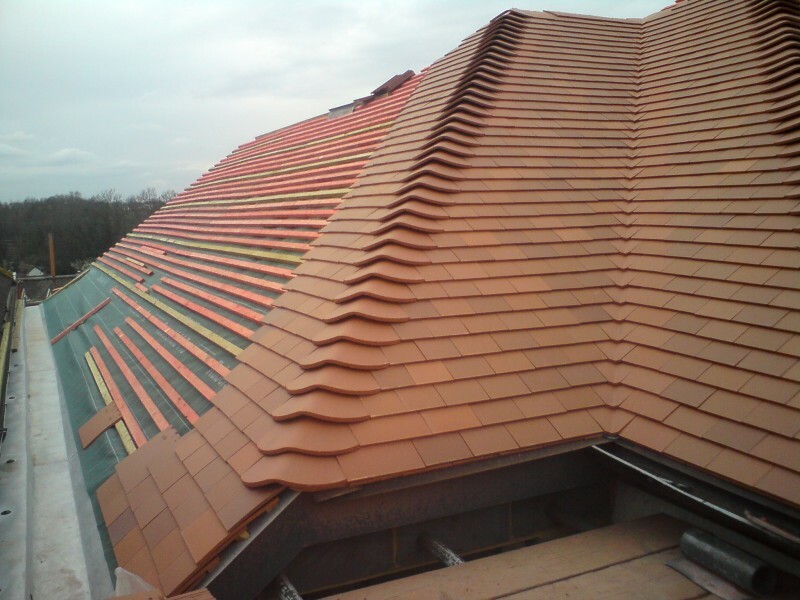 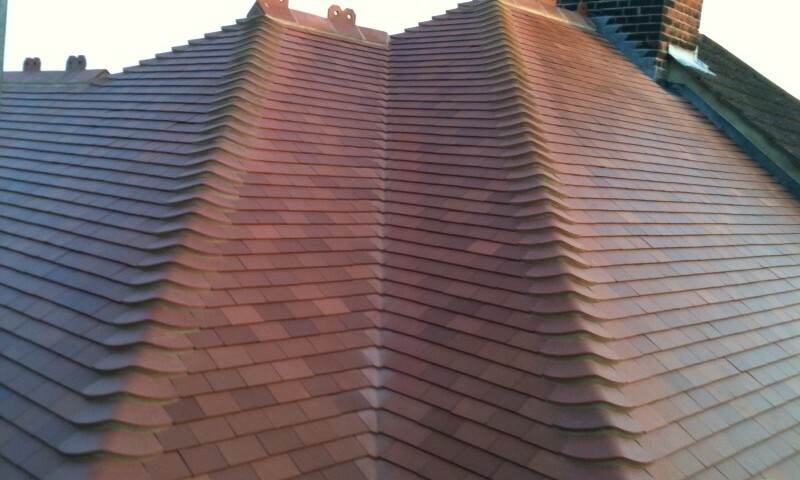 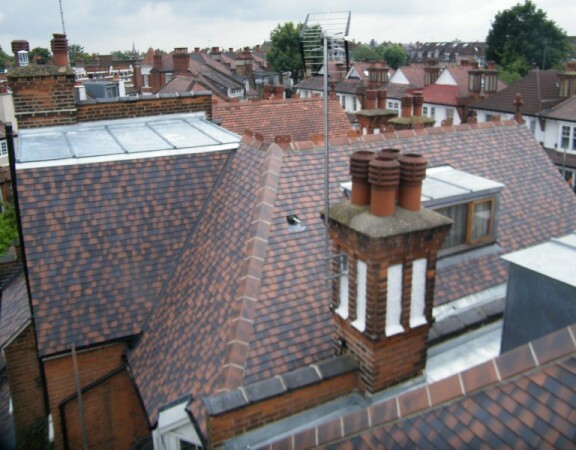 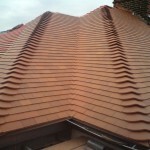 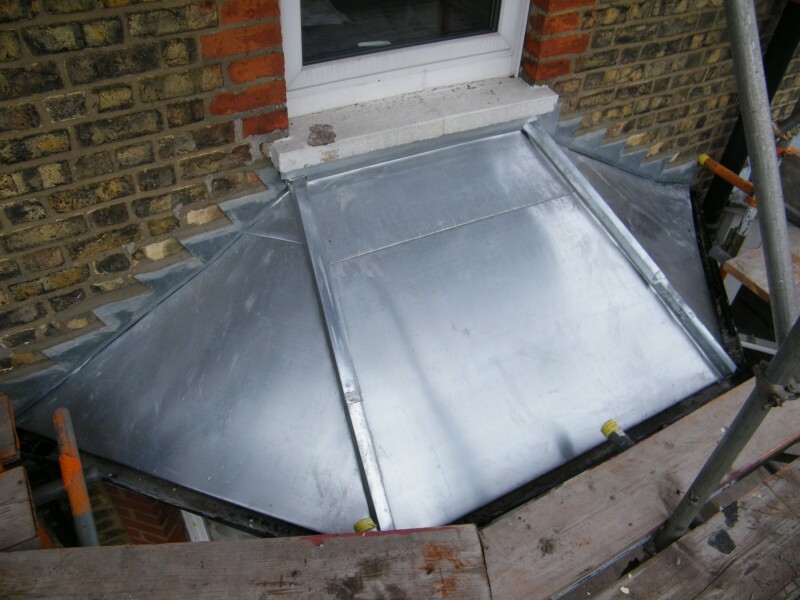 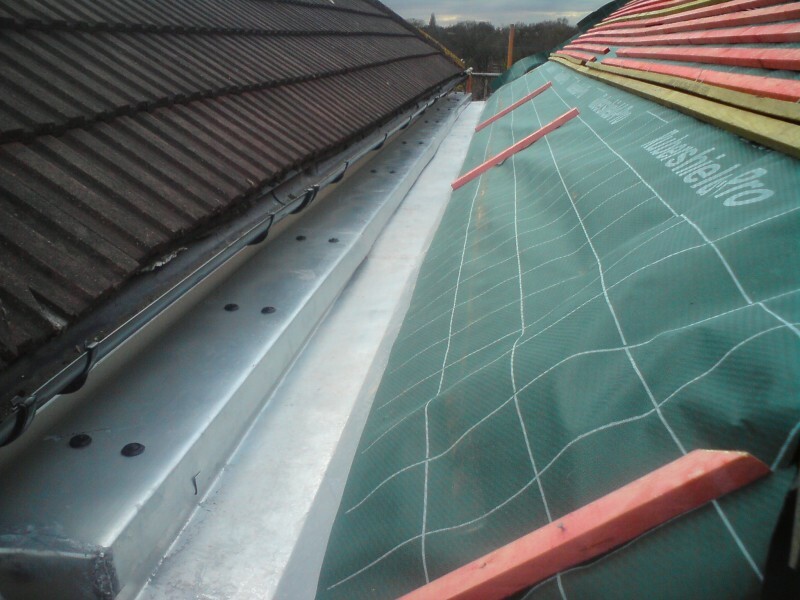 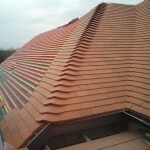 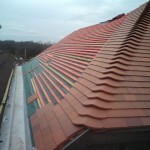 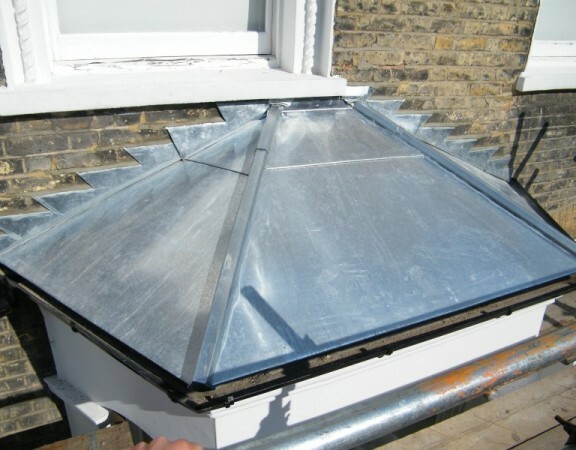 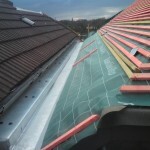 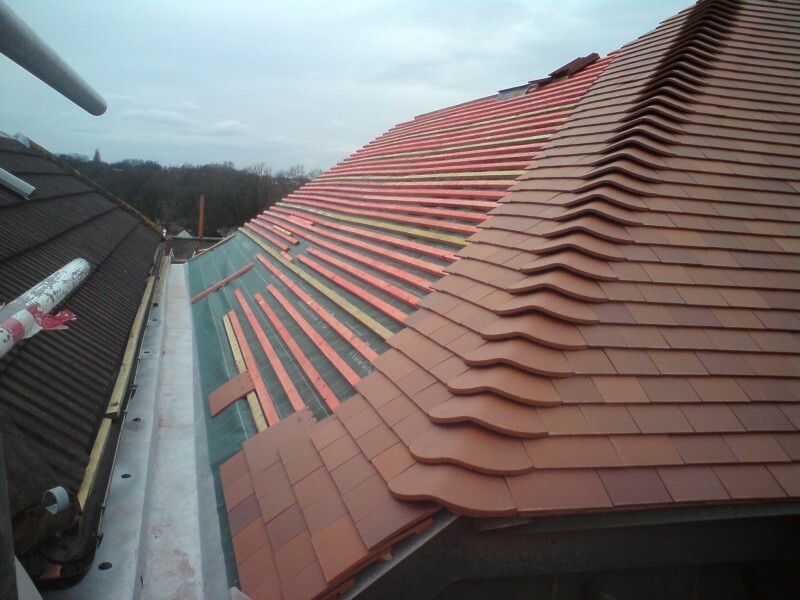 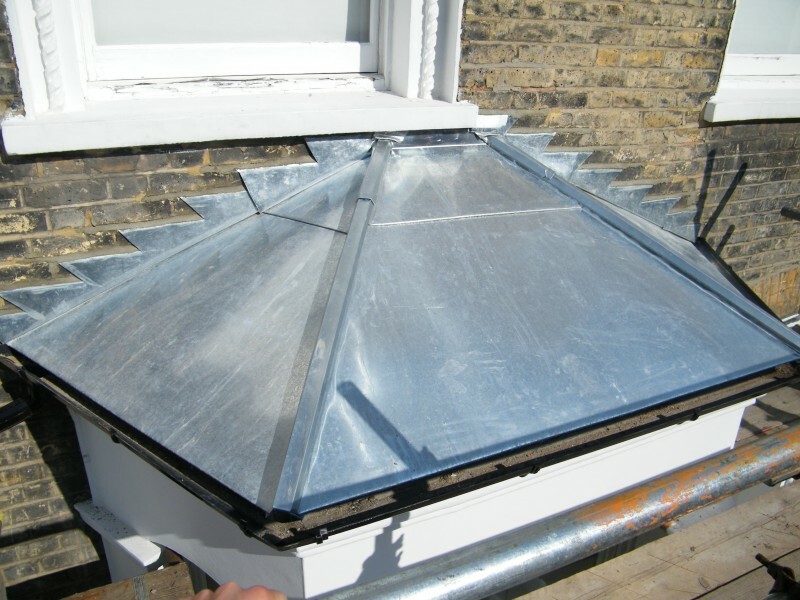 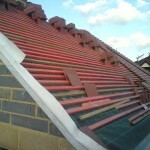 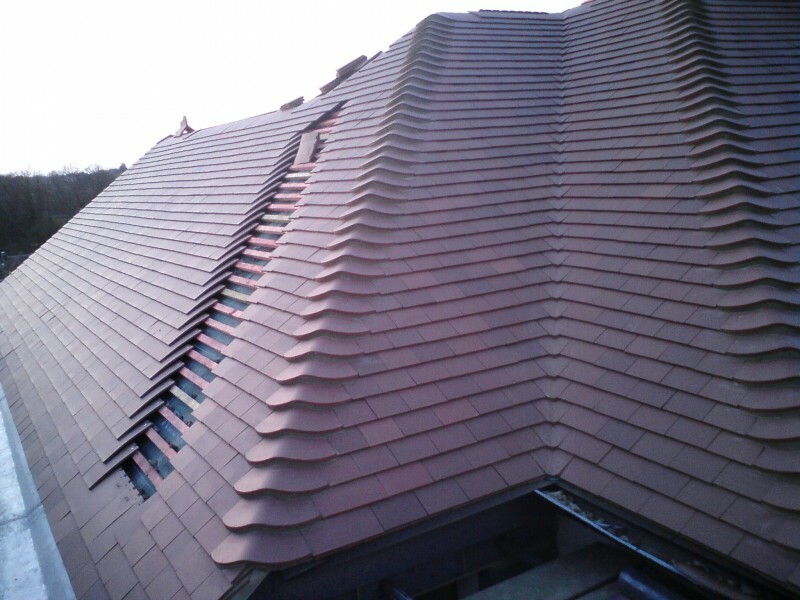 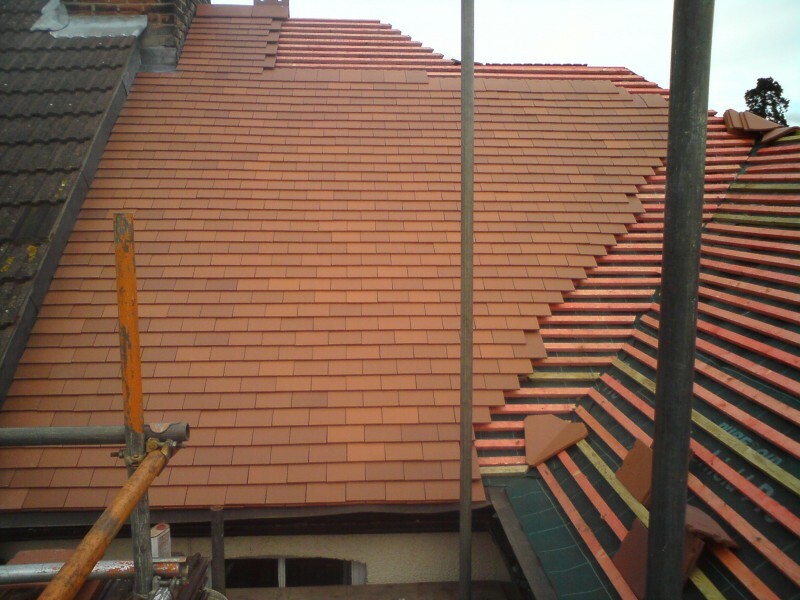 The roof was battened, tiled and a zinc valley gutter was installed to the side of the property. 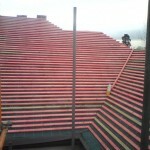 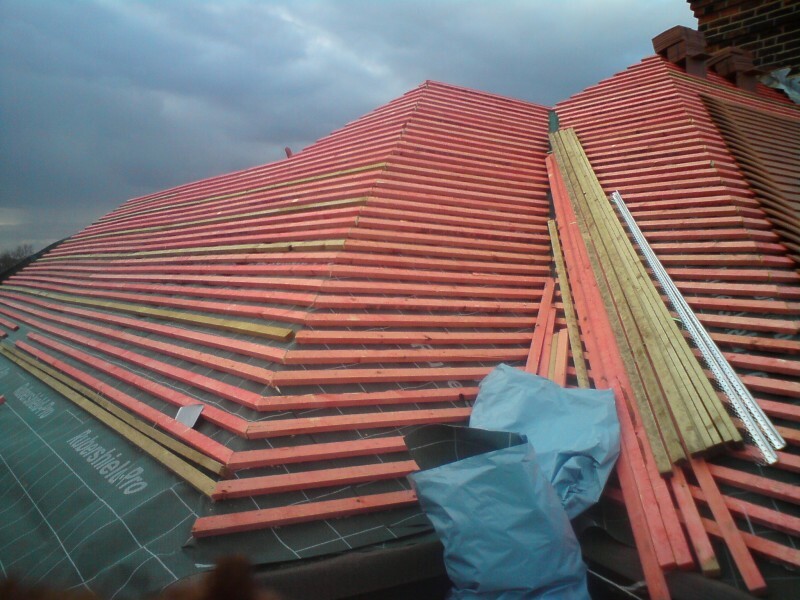 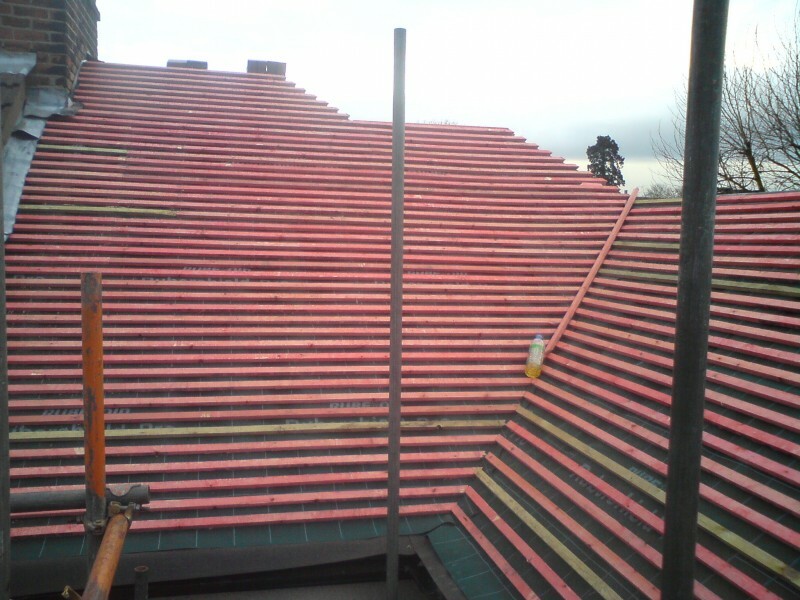 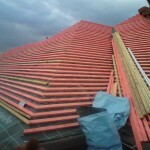 The photographs below show the stages of the roof replacement taking place.